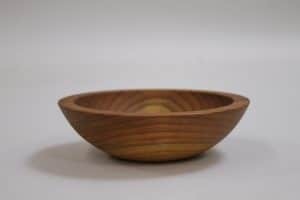 6-1/4” X 1-1/2” Wooden bowl Great size for serving olives, dips and knick-knacks. 7-1/2” X 1-7/8” Serves 1 side salad. 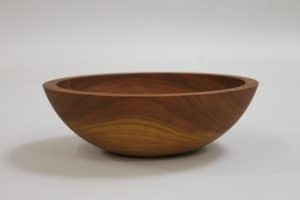 Goes great with our larger bowls to serve individual salads. 8-3/4” X 2-1/2” Serves 1 side salad. 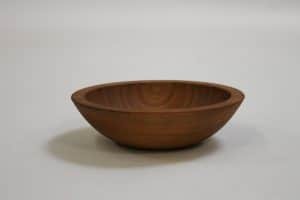 Great for holding jewelry, serving nuts and individual popcorn bowl. 9-3/8” X 1-7/8” Serves 1 side salad. 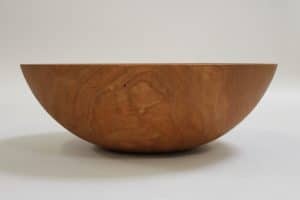 Perfect bowl for chopping herbs. 10” X 3-1/8” Serves 2 side salads. 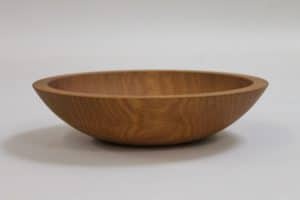 Ideal bowl size for an individual dinner salad. 12-1/8” X 2-3/4” Serves 4-5 side salads. Very popular size for newlyweds. Easy to store and versatile. 15” X 4-1/2” Serves 8 side salads. 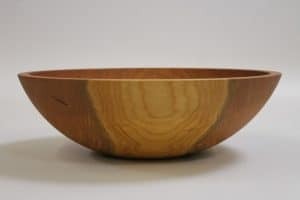 Great for entertaining and by far the most popular size! 17-1/2” X 5-1/2” Serves 12 side salads. Makes quite the statement on any dining room table! 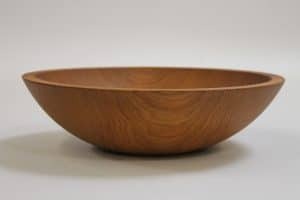 20” X 6-1/2” Serves 18 side salads. 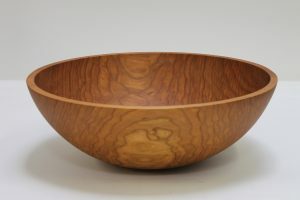 The largest solid wooden bowl made in the United States. 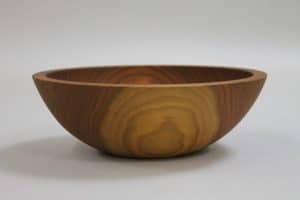 Ultimate bowl for entertaining!